Android’s notification system is easily one of its most powerful features. But with great power comes great responsibility, and some apps choose to abuse this. If you’re sick of constant notifications from specific apps, here’s how to completely disable them. Ideally, you’d turn off notifications through the offending app’s settings. Don’t want Facebook bombarding you with notifications? Head to the Facebook app, open its settings, and turn notifications off. That’s the best way to do things. But some apps are big jerks, and don’t have options to turn off notifications. In those cases, you can go a more nuclear route and block that app from sending notifications altogether, thanks to a setting within Android. That’s what we’re going to talk about today. 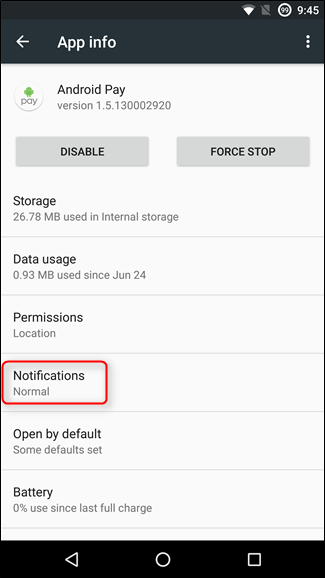 Before we get started, it’s worth pointing out that disabling notifications can vary greatly depending on what device and Android build you’re currently using. 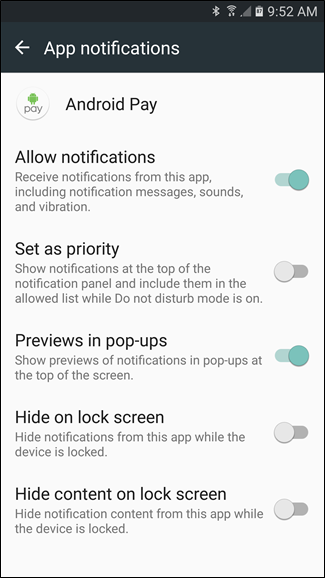 We’re going to focus on Lollipop (Android 5.x) and Marshmallow (Android 6.x) in this post—if you’re already running Nougat, we also have directions on how to extensively control notifications here. With that, let’s dig in, starting with Lollipop. While Lollipop is a few years old at this point, it’s still the most popular Android build running in the wild—as of September 2016, it’s still active on roughly a quarter of all Android handsets. Given how many Android devices are out there, that’s quite a large number. 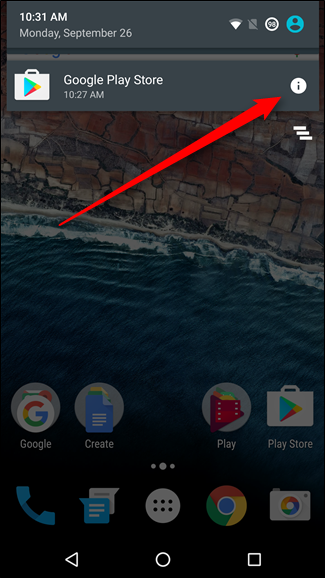 The good news is that disabling app notifications on Lollipop is incredibly simple—all it takes is a few taps. The first thing you’ll need to do is head into the Settings menu. 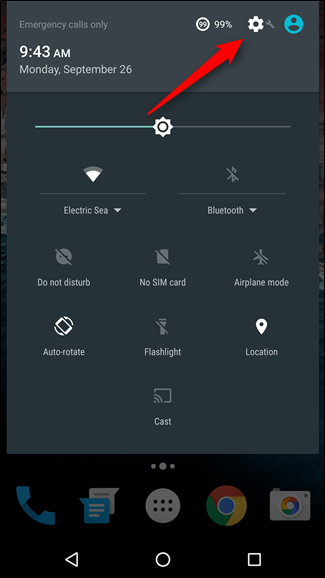 Give the notification shade a tug, then tap the cog icon. 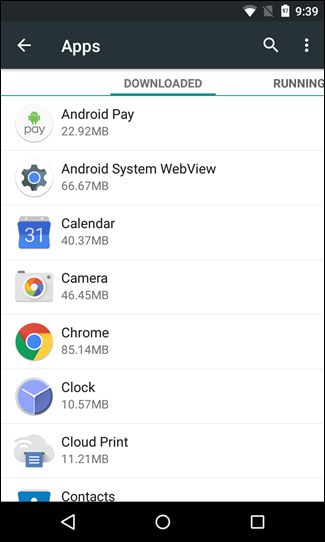 On devices running stock Android builds, you’ll need to pull the shade twice before the cog shows up. 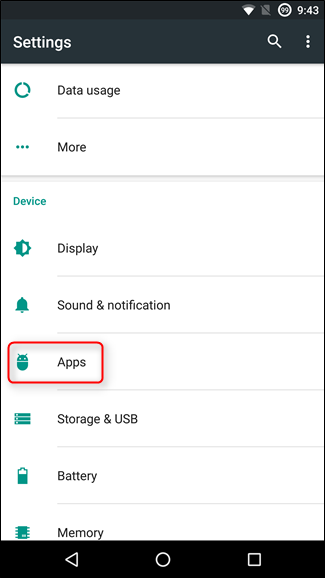 In the Settings menu, head down to “Apps.” On some devices, the name may vary—it’s titled “Applications” on Samsung devices, for example. Either way, that’s what you’re looking for. Now, here’s where things can get a bit tricky. On stock devices, this will open a menu with a full list of all installed applications, which is what you’re looking for. 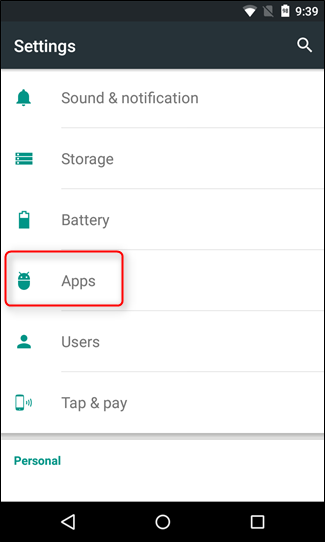 On Samsung devices, however, you’ll first need to tap the “Application Manager” option before seeing this list. If you’re using a different manufacturer’s handset, you may need to dig around a bit to find the correct option, but you’ll know you’re there when you see all of your install apps. From here, all devices should be the same. In this list, scroll until you find the problem app, then tap on it. 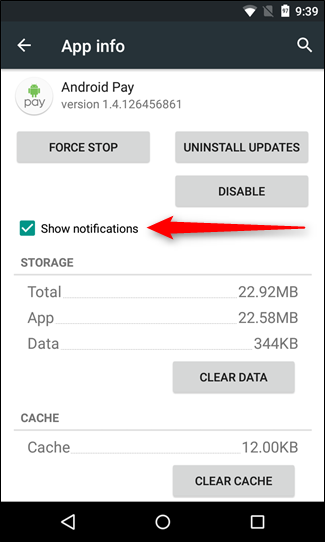 There will be a little checkbox titled “Show notifications,” that’s your setting—give it a tap to turn off all notifications from that particular app. Boom, you’re done. Simple, right? Yep. You can also turn notifications back on but repeating this process—you know, in case you start missing the extra attention. Marshmallow has more notification options, but the first part of the process is still the exact same: pull down the shade, tap the cog, and jump into Apps. Again, other devices may have a different name here, like Applications. Once in the appropriate menu, find the problem app, then tap on it. This is where things differ from Lollipop. Down this menu, there’s an entry that reads “Notifications.” Tap that. 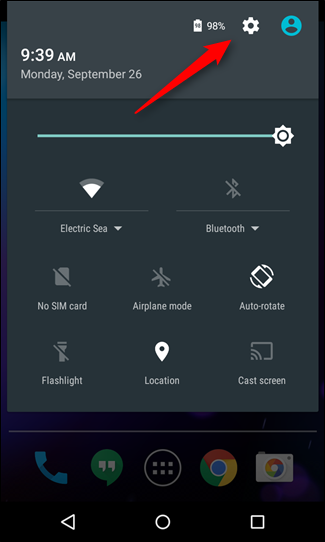 You can also block notifications from the shade itself. 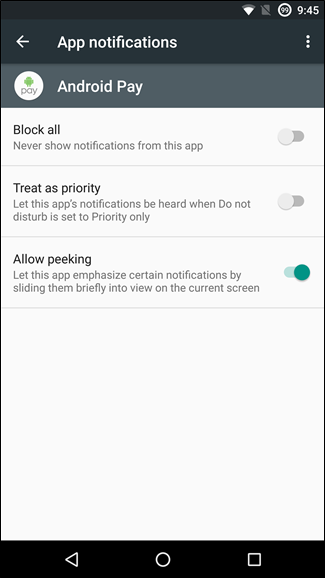 If you see a notification from an app you want to block, just long-press the notification. 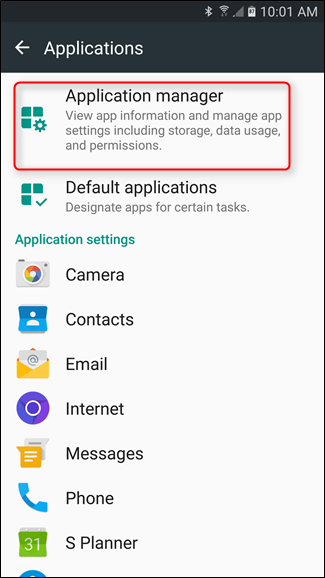 On Samsung devices, this will take you straight to the app’s notification settings. On stock Android devices, the notification will change color and a little “info” button will show up on the right side. Just tap that to go straight to the app’s notifications settings. Now you have options! To disable notifications completely, just toggle the “Block All” option. 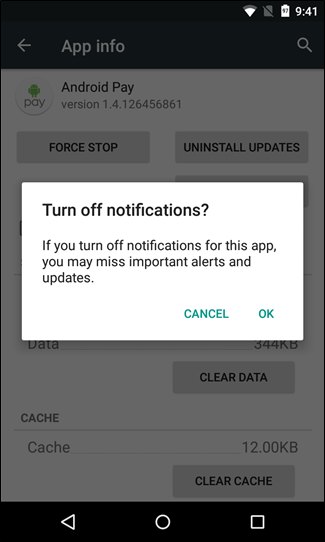 This options is actually called “Allow notifications” on Samsung devices and is toggled on by default (to allow notifications). To disallow notifications, just turn this option off. Once you’ve toggled the appropriate entry, you’re done. Say goodbye to annoying notifications!